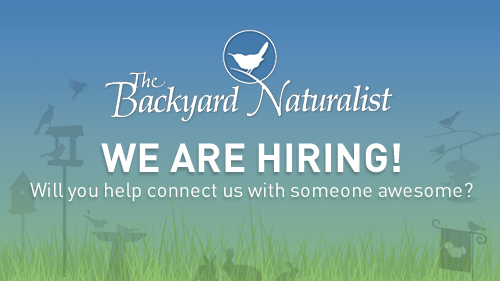 The Backyard Naturalist seeks to fill a Part-time to potential Full-time Retail Sales Associate Position. We are looking for an EXPERIENCED, MATURE, well organized retail sales associate, with excellent communication/people skills, and an ability to multi-task. Long-term commitment only. (This is not a seasonal position.) Reliable, hardworking, and flexible are the key qualities for this position. Team player; sense of humor a plus! Must have prior work experience with references! To apply, please visit the shop Monday through Saturday 10 a.m. to 5 p.m. and Sunday from noon to 4 p.m. to fill out an application. If you have a resume, please submit it along with our application. Serious applicants only, please.